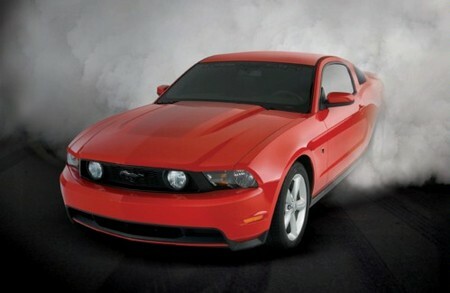 Roush Performance has dropped two new amazing Mustangs both with modified V8 engines and 540 rampaging stallions. Roush engineers has re-done the Ford’s 4.6 liter engine and replaced many of the internal components with stronger parts including forged aluminum pistons, forged steel H-Beam connecting rods and a forged steel crankshaft. This engine has new fuel injectors along with new pumps and lines, all for the sake of better performance. The tuned engine has 540 hp and and does the quarter mile in 11.8 seconds. It’s used in both editions of Roush Mustangs. 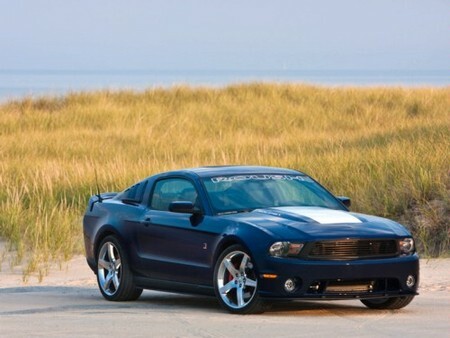 The first is the Roush Stage 3 Mustang wich is limited to 103 units and starts at $59,945. The vehicle comes fully-loaded with the Roush body components; resonator exhaust; four-piston front brakes with 14-inch rotors and painted rear calipers with slotted rotors; and the new upper billet grille which removes the fog lamps and streamlines the appearance of the new Mustang while improving cooling performance. It rides on 18 or 20 inch chrome wheels. Interior enhancements include Roush leather seats with an embroidered Jack Roush signature, four-piece performance pedals, Roush illuminated sill plates, short throw shifter with black or white ball, and a new interior Stage 3 badge with the car’s serial number engraved. Second model is called the 540RH aka the Hammer! It’s the same as the other car except for some decorations. It co0mes with a rear decklid spoiler, and short throw shifter with a choice of white or black ball. It also has a new suspension package which includes front and rear springs, front and rear stabilizer bars and jounce bumpers, and a subtle tone-on-tone striping package. The 540 RH MSRP starts at $46,145. Both cars have 3 year or 36,000 miles warranty and can be had manual transmission.